The Other Side of the Cubicle is an exploration of the age-old question: is the grass truly greener on the other side? 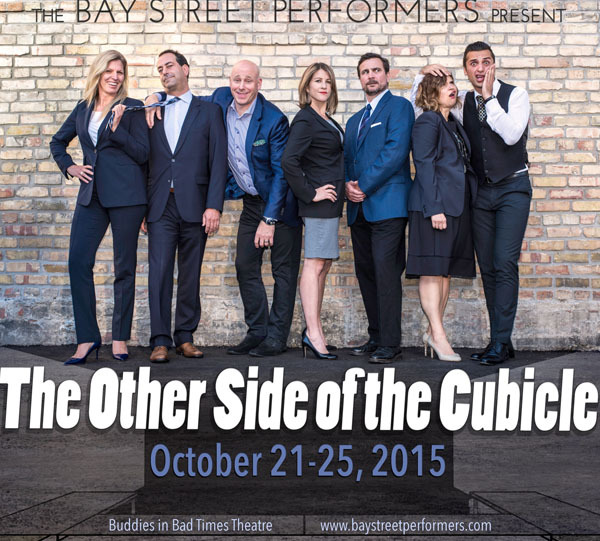 Adapted from the stories and experiences of the cast, Cubicle follows the interconnected story of seven characters seeking happiness and balance in both the corporate and creative world: are the ‘what if’s a good enough reason to leave? To stay? Or is there a way we can have it all…?